Lexington Park Homeowners’ Nails are Shining! July 19, 2011 - Lexington Park Homeowners’ Nails are Shining! Vicky and Mary from Lexington Park continued on their adventure in discovering local businesses in Des Plaines. During their latest stop, they met with Nina, owner of Lee Nails at Metropolitan Square. This is an ultimate contemporary salon specializing in making your nails shine. Owner Nina also does cosmetic tattooing! We understand how difficult life can become with work, family and the daily to-do list, but Nina is providing some relief to our Lexington Park homeowners by offering a special ManiPedi for only $30! Living at Lexington Park, you have plenty of wonderful local businesses who make a home in Des Plaines well worth it. 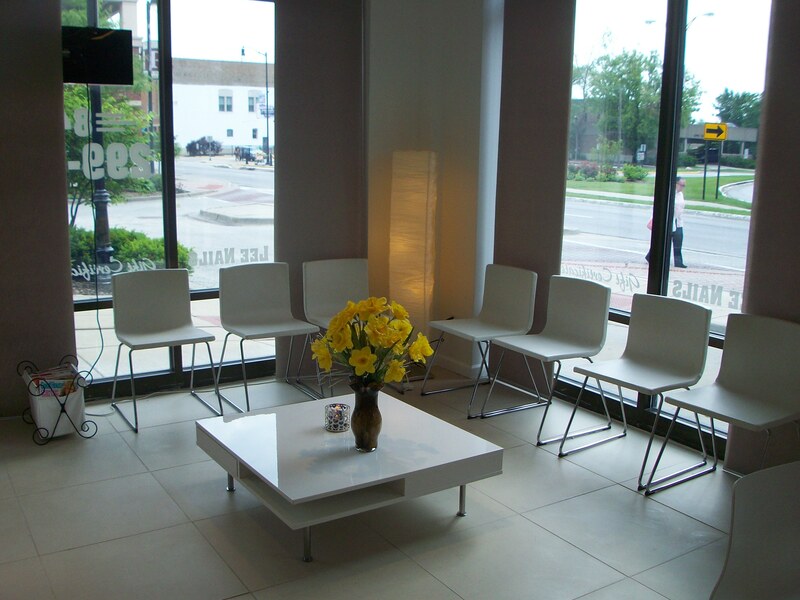 Visit Lee Nails at Metropolitan Square: 1440 Market, Des Plaines, IL 60016. Now that you have a taste of what surrounds the area, learn more about Lexington Park here, where you can own a beautiful home of your own.